Uncork a Wish Wine Tasting in L.A. The Make-A-Wish Foundation of Greater Los Angeles is returning to the Barker Hangar for the 14th annual Uncork A Wish Wine Tasting and Auction fundraiser. Hosted by special guest Brad Garrett, the Wine House will once again bring together over 100 wineries to provide guests with fabulous wine tastings. A collection of top restaurants in Los Angeles will provide samples of their gourmet fare. Huge Wine Heist in CA a Sign of the Times? In the affluent Silicon Valley town of Atherton, one of the most wealthiest areas in the country, a single theft of over $100,000' worth of rare and expensive wines taken from a private home has wine-lovers abuzz. Even the New York Times has taken notice. The thieves ignored electronics, jewelry, and lesser wines to hit the basement wine cellar and zero in on the good stuff: the average value of each stolen bottle was $3000. The haul included a magnum of '59 Petrus with an estimated value of $11,000. Because of their focus on high-value bottles, it's clear that the thieves knew their wine. and usher in the holiday season. 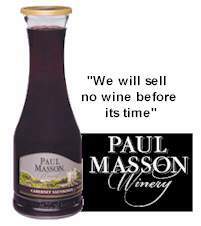 We will have a couple of specials to offer you on selected wines and wine accessories. Get some holiday shopping done, and know that it's a gift that will be truly enjoyed! As it turns out, Welles may have gotten some of the inspiration from a source other than his theatrical muse--namely, the wine bottle, as this video shows. At the 232nd annual meeting of the American Chemical Society in San Francisco, some attendees spent Sunday afternoon examining the prospects of making better wine through chemistry. 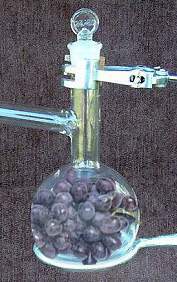 Using chemical analysis to improve wine, by adjusting elements during fermentation or simply using it as a tool to decide when to harvest grapes, could be the wave of the future. But there's some concern that the result could be wines that all taste the same. 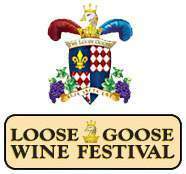 Captivate your senses at the Loose Goose Wine Festival in Santa Clarita Valley, California. The finest in food, wine and entertainment will be featured during this four-day wine-tasting event. Where: Main festival is in Bridgeport Park, Valencia, California. (Bridgeport Park, 23520 Bridgeport Lane, Valencia, California 91355) Additional event venues are scheduled throughout Southern California�s Santa Clarita Valley region. 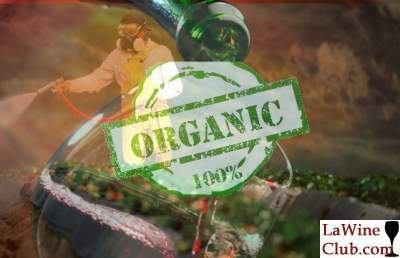 The Loose Goose Wine Festival achieved distinction with last year�s inaugural debut as the premiere wine festival in the Los Angeles region. Located in the captivating Santa Clarita Valley just 35 miles north of downtown, the festival offers the finest in sensory pleasures invoking the enchantment of old world European post-harvest festivals. Portions of the proceeds benefit the Henry Mayo Newhall Memorial Health Foundation and the Brenda Mehling Cancer Fund. For ages 21 and over. 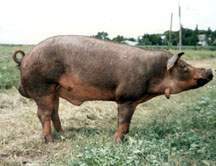 Yes, in honor of a program to preserve traditional hog breeds that are tasty and delicious--but not raised in today's factory farms--Long Meadow Ranch in Rutherford, CA, will be raising and breeding two Red Wattle hogs from piglets. This organic farm and winery will celebrate by participating in a benefit featuring tail-to-snout cuts of Red Wattle pork.